You can have your favorites all you want, but everyone knows the mushrooms are the stars of the Super Mario Icons pack. I've already lost count of how many there are, but here's a new one. 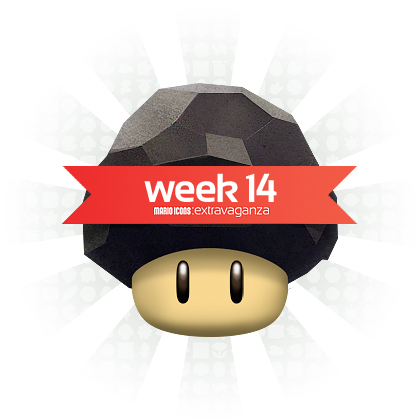 Straight from last year's Super Mario Galaxy 2, the Rock Mushroom!